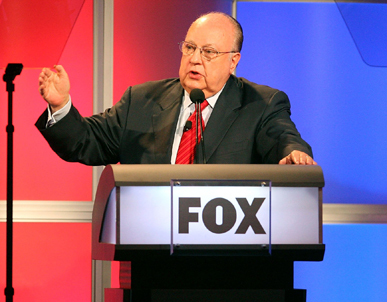 Fox News boss Roger Ailes' recent description of NPR management as having "Nazi attitudes" provoked some revulsion around various media. No more so than inside NPR as well. NPR reporter Andrea Seabrook wrote a heartfelt response posted on Facebook. She was shocked that NPR which she sees as a beacon of reason and responsible journalism, could be demonized in this way. Andrea is right to be appalled. But Ailes' flip and foolish remark was mild compared to what routinely crossed my inbox when I was Ombudsman at NPR. It feels as though it has become rougher of late. I'll leave that to practicing ombuds to confirm that. When I was on those particular front lines, I assumed that part of my job as ombudsman was to act as a combination triage and heat shield on behalf of the journalists. As most who do the job of ombudsman or public editor can attest, it's often not very nice out there. And in cyberspace, it can be extremely rough. The role of an ombudsman, as I saw it, was to keep the level of civility as high as possible, without being paternalistic about the sensibilities of the journalists. Did reporter X really need to know that a listener referred to him or her as an &;*^$#;)? Probably not. But if the critic had a good point, I would sent the criticism to the reporter, warts and all, and usually with a warning. Nasty remarks without any redeeming constructive criticism often weren't forwarded. I sometimes wondered if I was doing anyone (the complainant included) a favor in keeping the more caustic and toxic comments away from both journalists and management. Wouldn't it be better if everyone knew just how complicated and even vicious our so-called civic discourse could be? In the end, I usually kept most of those nastier comments away; some I just filed for the record, without responding. Others - the most virulent - I deleted since they were of no value as a comment on the journalism or on the journalists. One could argue that the role of the Ombudsman is simply to act as a telephone pole between the senders/listeners and the receivers/journalists. That's not how I saw it. Ombudsmen do a better job for journalism when he/she exercises editorial discretion by choosing the most useful and constructive observations. It doesn't mean the Ombudsman engages in censorship, or even makes the audience out to be better than it is. It's a judgment call and one that ombudsmen make several times a day.